Usual followers of my blog will know that at the moment, I’m really interested in dieting and whether following a set diet plan will be sustainable long-term or as soon as you finish them, you just pile the weight back on. I also don’t really diet and you can read about my love of food here! 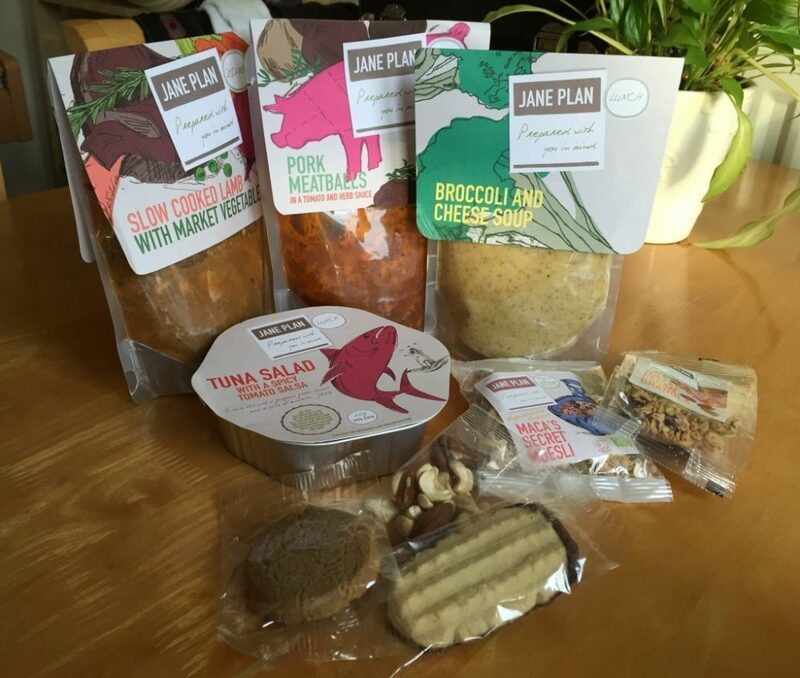 I have previously worked with diet brands so I was really pleased when Jane Plan responded to my emails about working with me. As soon as I opened the box up, I was really impressed with what I found. 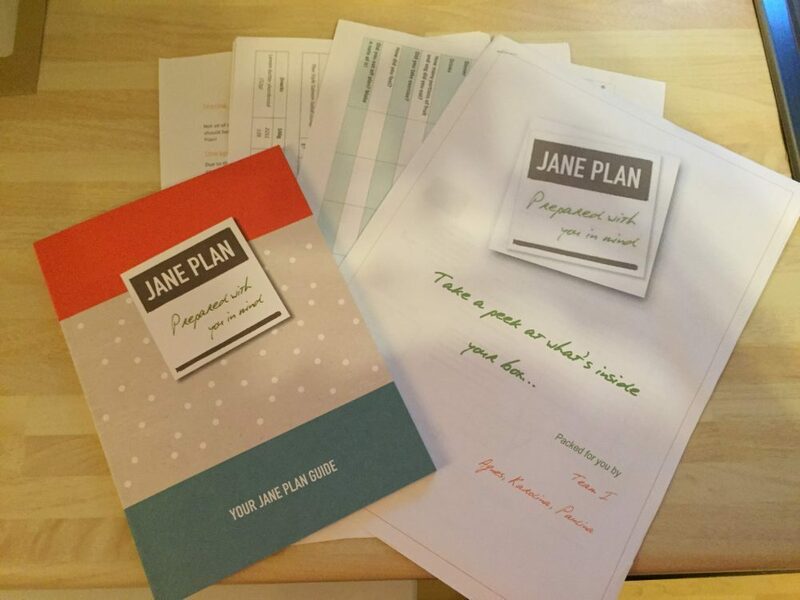 You get a pack full of information about Jane Plan; from food diaries and nutritional information, to an 81 page guide for you to fill in about your goals and reasons for starting the plan in the first place. You can also track your weight loss and fitness activity and it’s a guide I dipped into a lot during the 2 weeks I spent on the plan. The food itself looked great, packaged really well in bubble wrap and tissue paper so as not to get damaged, all clearly labelled with breakfast, lunch, dinner and snacks so you know exactly what’s included. There was so much food I can’t imagine what it would be like to open up the usual monthly supply of food! The packaging is great, really clear with all of the information you would expect such as calories and ingredients, as well as really nice images which go really well together. Most of the packets are clear so you can see straight away what you’re going to be eating and if I’m honest, there was nothing I didn’t fancy! The other great thing is that nothing needs refrigerating so I could store it all away in the cupboard (although I did keep everything in the box and just got out a couple of days at a time) and the use by dates are well in advance of the month you would consume them in so there was no danger of me wasting any. Every lunch or dinner is either ready as it is, can be microwaved in the packaging, heated up on the hob, or popped into an ovenproof dish in the oven. Everything is ready in minutes and even the cottage pies and lasagne’s were ready in 25 minutes so this was perfect for me, as we don’t eat until Mia goes to bed which is sometimes going on for 8:30pm by the time we have cooked! All you need to do is add vegetables to your dinner and fruit during the day as snacks, everything else is included in the plan. For breakfast there are a variety of granola’s and porridges, lunches are salads and soups, snacks include biscuits, nuts and sometimes a chocolate treat, and finally, dinners are very varied ranging from cottage pies and lasagne’s, to Thai curry and beef casserole. 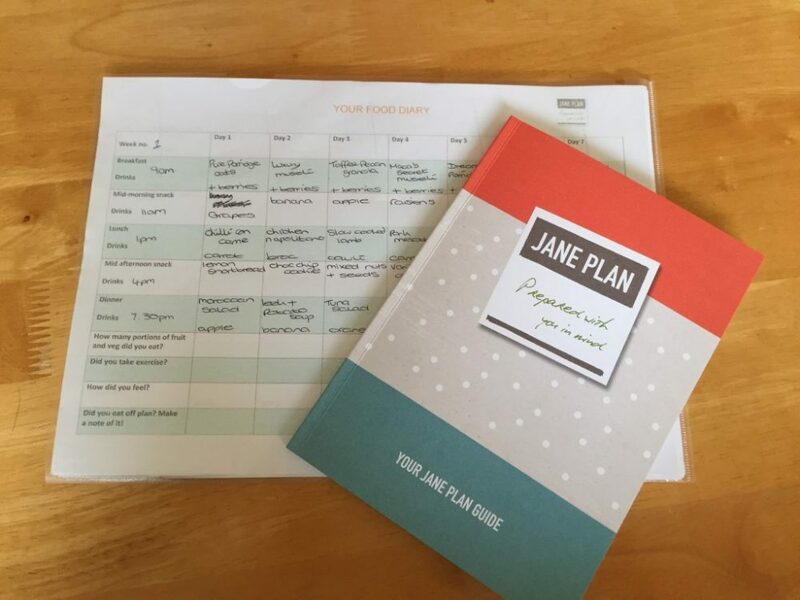 Jane Plan say you can let them know if there’s anything you don’t fancy or don’t like and they will replace it with another product but I didn’t have to do this as I’m quite opened minded to food (I ate tuna and salmon for the first time on this plan!) and I genuinely liked everything I was sent. Over the 2 weeks I followed my personalised Jane Plan diet, I lost 5lbs in total which has brought me below my target for this year and I’m so pleased! The whole plan feels very personal; the guide could have been written just for me, the food was picked just for me and the phone calls at the start, each week after, and at the end added a special element as I feel if I had of had any issues or problems, someone would have been there straight away to get me back on task! It is an extremely well thought out plan and I couldn’t fault it. The only issue I could see if I were to carry this plan on long-term would be that I would miss actually cooking. 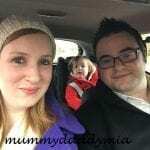 I love cooking and with a small family I have other people to cook for and although I could add Mario’s dinners to the plan for an extra £3.50 each meal, I would still feel like I wasn’t ever cooking. 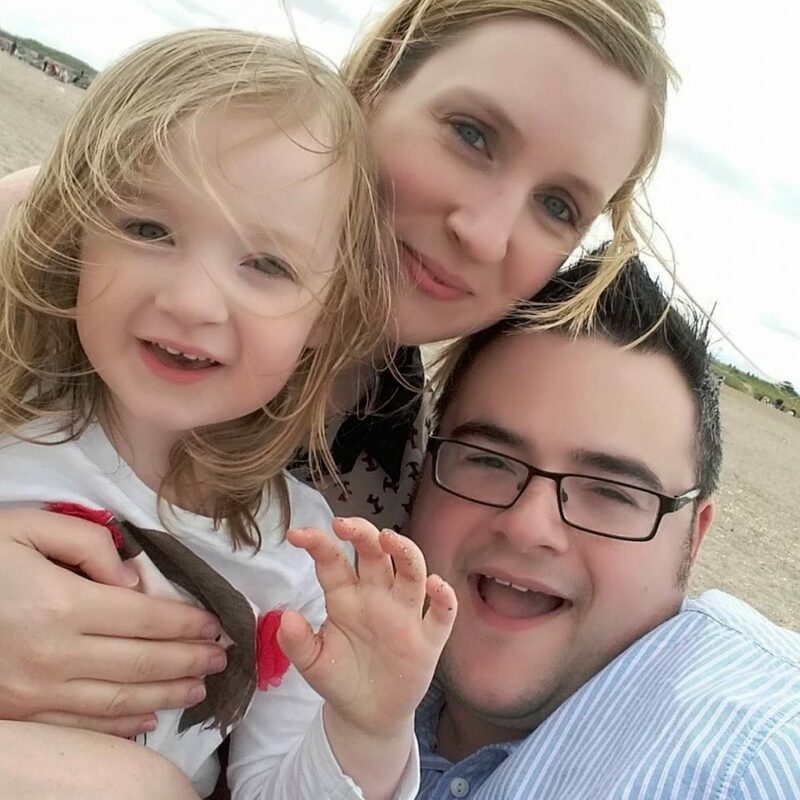 I struggled at weekends also as we go out every fortnight on a ‘date night’ and this wouldn’t be possible unless I chose the plan with weekends off. I found the amount of food great as before the plan I ate 3 times a day with big gaps between lunch and dinner which meant I ate ridiculous amounts really late at night, on the Jane Plan I ate regularly and felt like I was full after each meal. From doing the Jane Plan I will take away the fact that I need to eat more fruit and vegetables every day, I felt much healthier and content on this plan and also I realised I can survive really easily on 1200 calories a day, it wasn’t hard work and it wasn’t a struggle! It was really enjoyable! As always the costs of these types of diet plans are a negative for me as it would cost as much as a monthly shop for the whole family if I wanted to follow the plan going forward. A one month plan costs £249 but if you sign up for 4 months it costs £199 a month. There is also a 50% discount for shopping for fruit and vegetables with Abel and Cole. 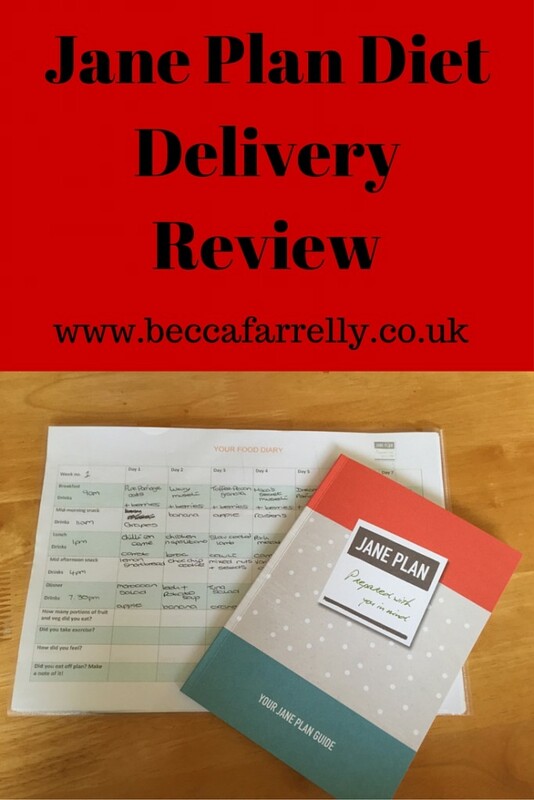 I thoroughly enjoyed following Jane Plan and did not feel like I was dieting at all, I ate ‘real’ food and got ‘real’ results. I don’t feel the need to run off and eat loads of chocolate or cake, I feel great! 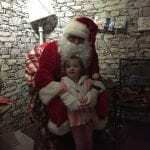 Mia’s Started Pre-School, Growing Up Too Fast! It sounds like a good healthy meal plan and despite what seems like a huge amount of food, you still lost weight. My issue with any delivery diets is that you feel strange not eating with everyone else. On my diet, I do it during the week while at work, and then weekends I can still have a family meal in the evenings. I love the idea of it all be fully controlled and sorted for me – but I’m sure I’d be rubbish at it in reality ! Hi, it looks good to try and I like the review you’ve carried out, its really in depth and looks at it in an intelligent way. Thanks for showing me showing me something I hadn’t seen before.